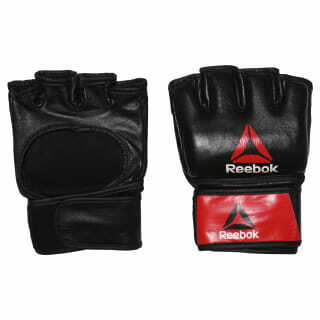 These gloves protect hands during combat training efforts thanks to their durable leather construction. A hook-and-loop closure at the wrist adjusts easily and additional laces add a locked in fit. Available in multiple sizes and weights.